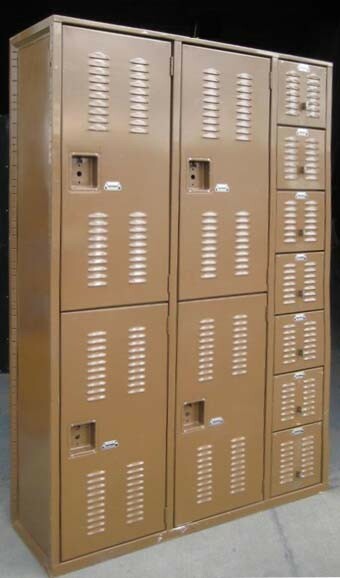 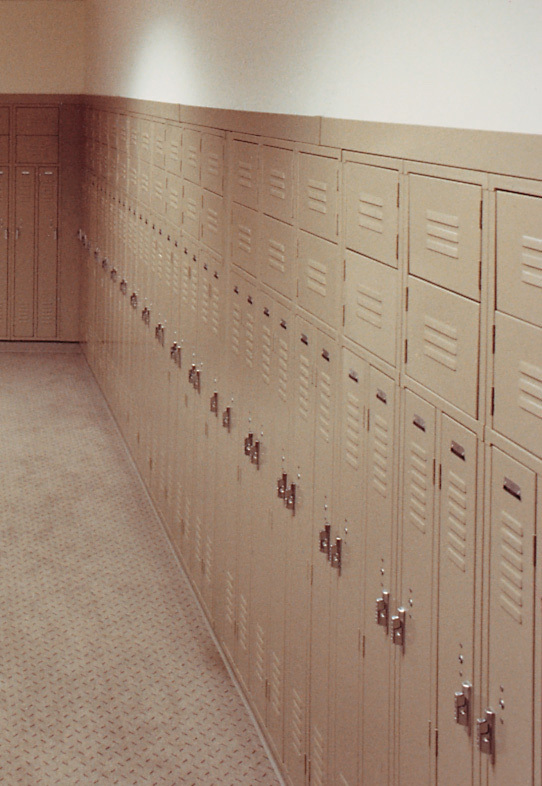 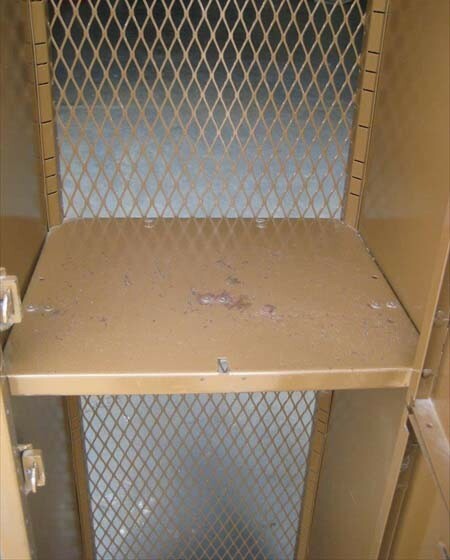 These Used Storage Lockers are available on www.buyusedlockers.com where they have a huge selection to choose from if we need additional supplies. 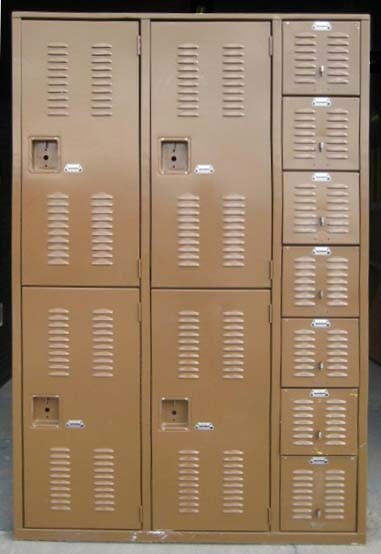 Dimensions: 18" x 16" X 75"
These heavy duty all welded lockers are a combination of mixed sizes and are commonly used in gyms and warehouses. 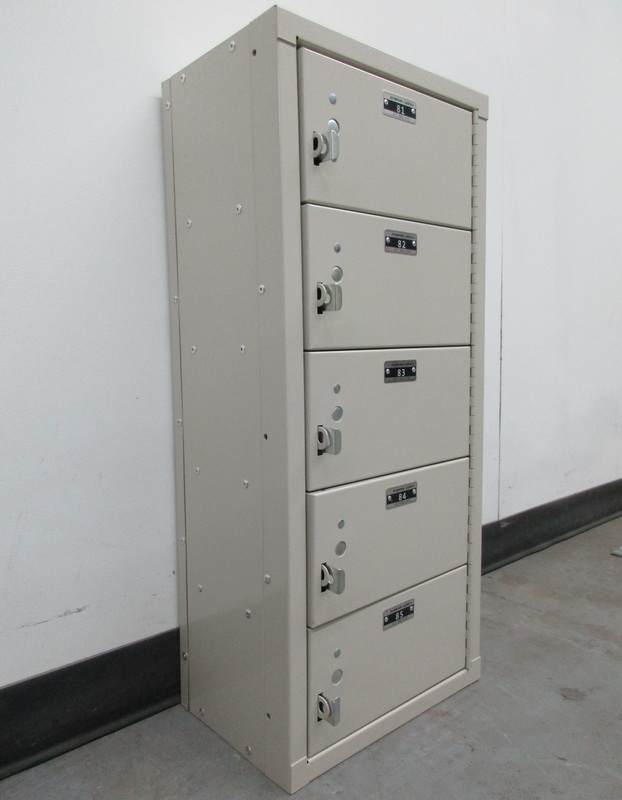 Each of these groups have 4 large compartments that are 18" wide x 16" deep x 36" high and 7 smaller compartments that are 12" wide x 18" deep x 12" high. 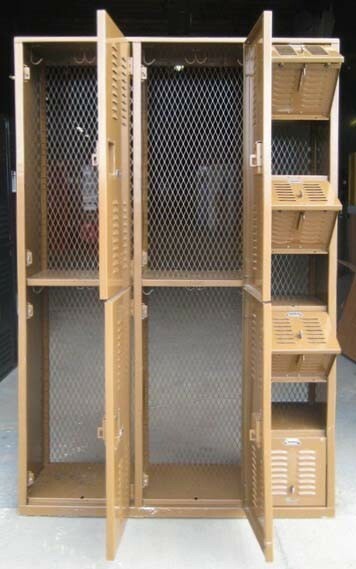 The expanded backs allow for extra ventilation needed in these types of environments. 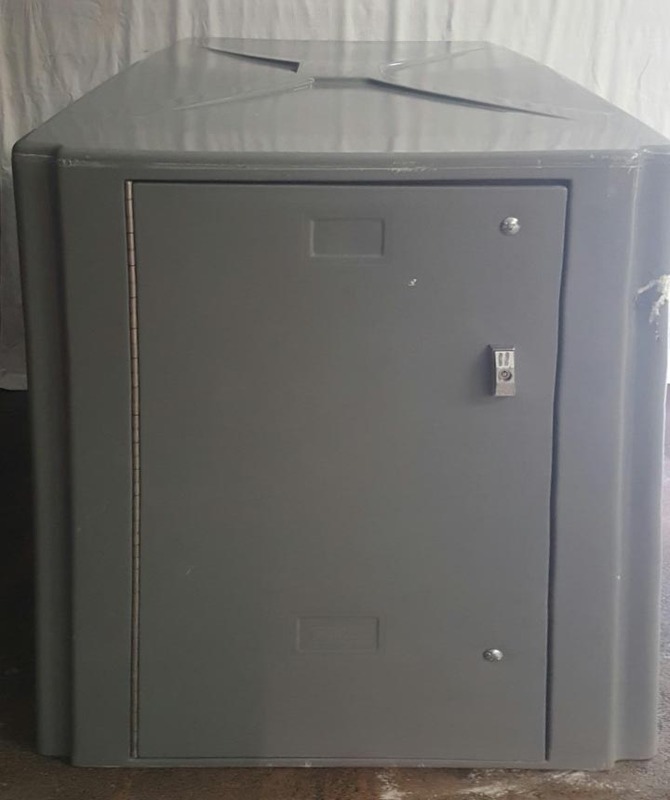 They can be locked with several types of locks.